Stock photo of the red and green Gooderham building in front of two skyscarpers in downtown Toronto, Ontario, Canada. 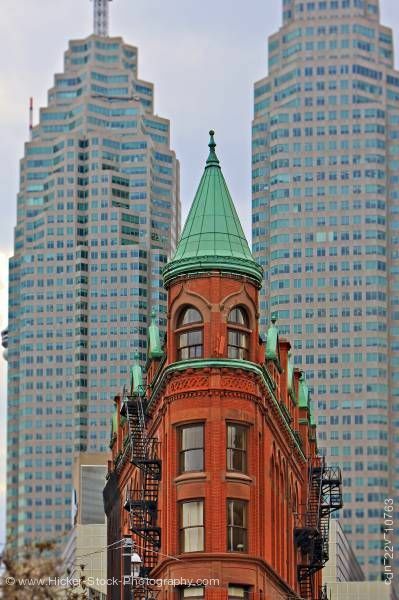 Gooderham Building (Flatiron Building) in downtown Toronto City, Ontario, Canada. This stock photo shows the Gooderham Building, also known as the Flatiron Building in front of two skyscapers in Toronto.